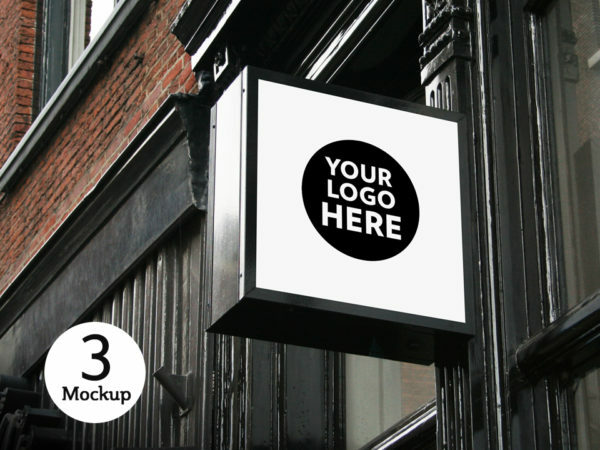 Download Free Restaurant Coffee Shop Signs Mockup Set. Just add your own brand designs by using the smart layer in PSD files very easily. 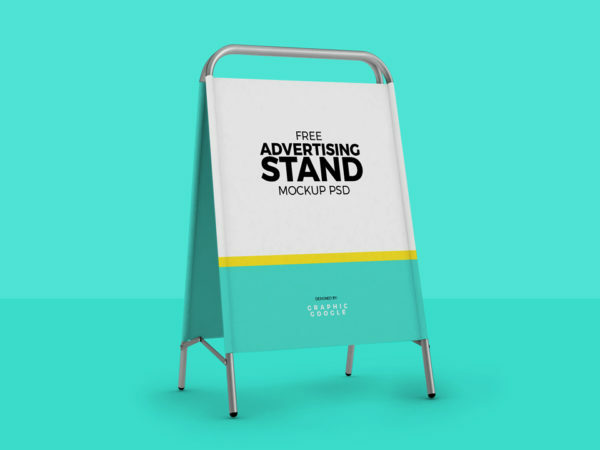 Download Free Advertising Stand Mockup PSD. Use the PSD’s smart object to insert your artwork. You can change background and color any way you like. 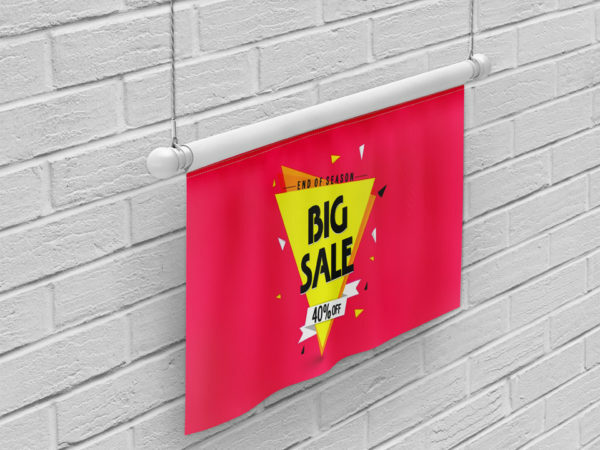 Download Free Hanging Banner Mockup PSD. You can use display any advert or branding, country flag, team flag or a custom design to present your clients .You can easily change the background and the banner colors using the smart objects. 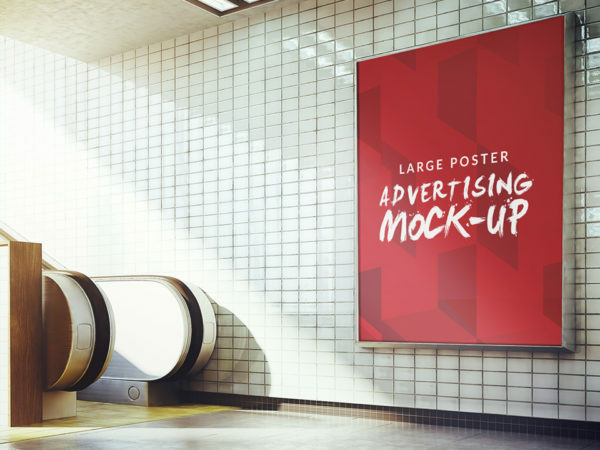 Download Free Subway Station Billboard Mockup. You can use to display your posters, ads, etc in a photorealistic way. 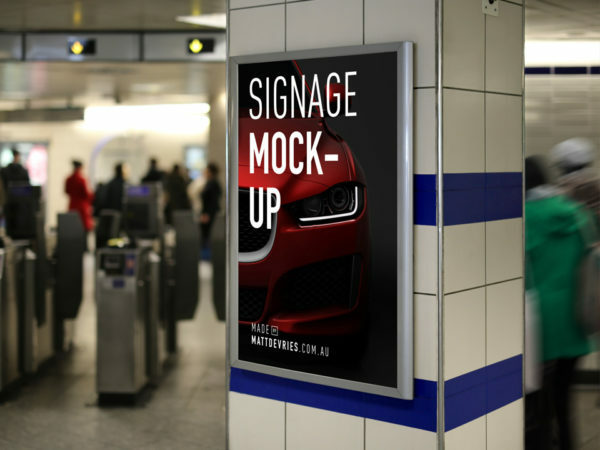 This Subway Station Billboard Mockup psd includes smart objects so you can easily add your art work. 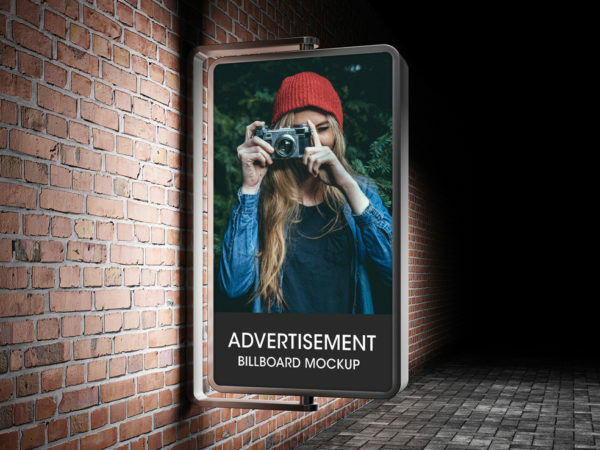 Download Free Subway Advertising Billboard Mockup. This Free advertising mockup that will provide you the perfect picture how your advertising designs will look in real environments. Smart Object layered to allow you to replace the screen with your own Design. 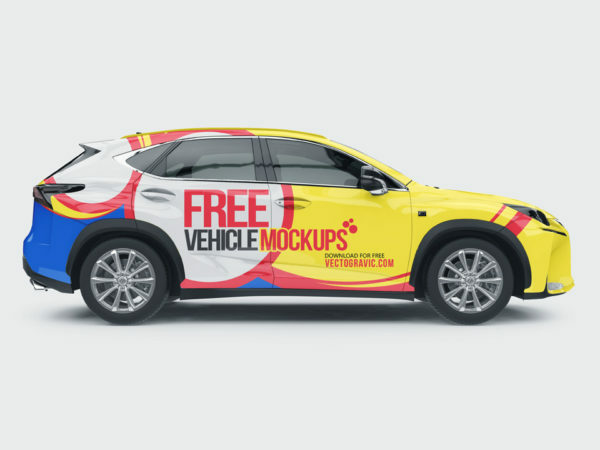 Download Free Branding on Vehicle Mockup Set. Use the all PSD files smart layer to drag and drop your own Design. 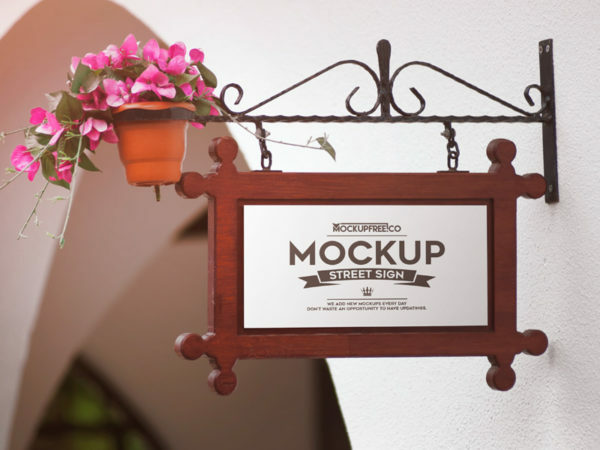 This mockup download contains 4 PSD Files. Special Thanks to Vectogravic for this free mockups. Download Free Subway Advertising Sign Board Poster Mockup. Photo-realistic mockup showing a billboard in a subway station tunnel. Mockup psd file comes with a smart layers, just replace your art work. Good work done by Anusree Nandi. 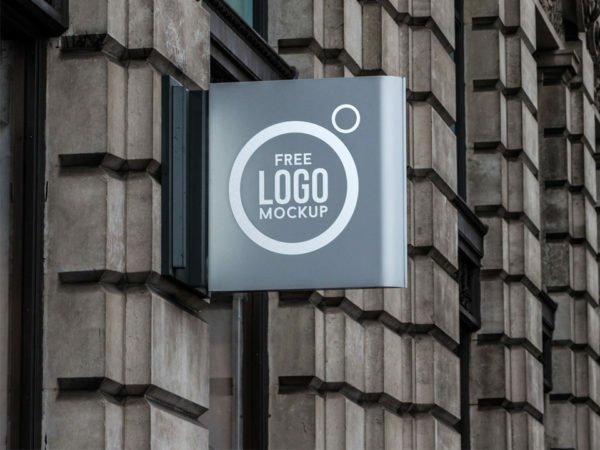 Download Free Outdoor Advertising Square Sign Board Mockup. Place your logo design, lettering, typography, or logomark. This free mockup psd file comes with a smart layers, just replace your art work very easily. Nice mockup created by Good Mockups. 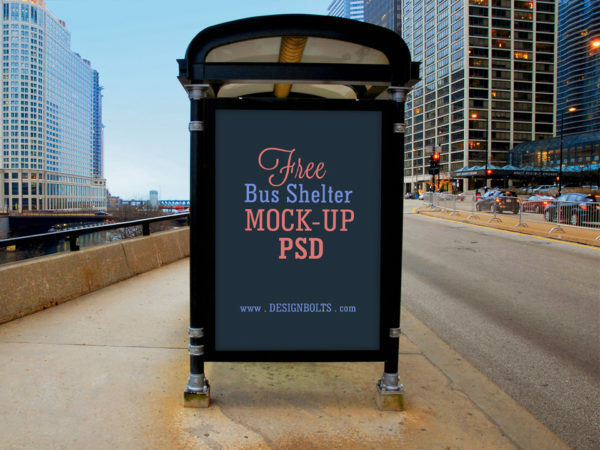 Download Free Bus Shelter Advertising Billboard Mockup. This free mockup psd file comes with a smart layers, just replace your art work very easily. Nice mockup created by Design Bolts. 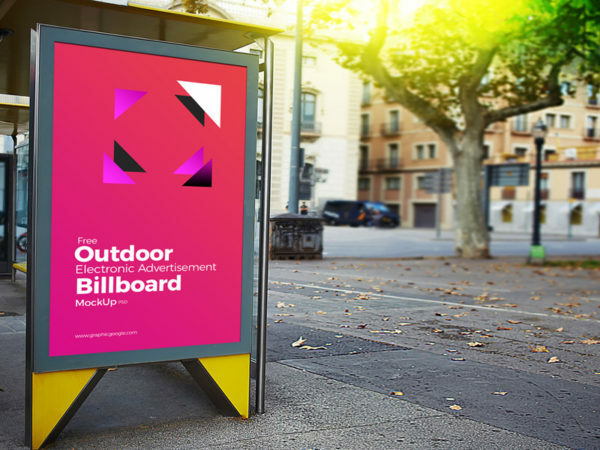 Download Free Outdoor Advertising Billboard PSD Mockup. This Free Billboard Mockup download contains PSD file with smart layer, Just drag and drop your own design. Good job done by Boo Creative. 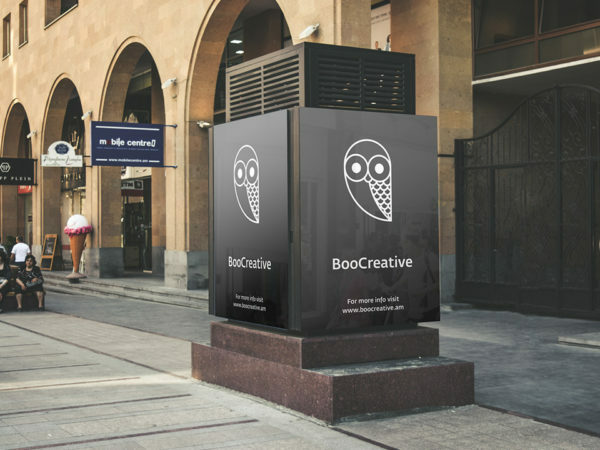 Download Free Bus Stop Advertising Billboard Mockup. This Free Billboard Mockup download contains PSD file with smart layer, Just drag and drop your own design. Good job done by Graphic Google. Download Free Classic Street Sign Mockup Set. This free mockup set can be useful for designers for showing artwork. This mockup can be easily customized and you can place your artwork using smart layes. Nice work done by Mockup Free. 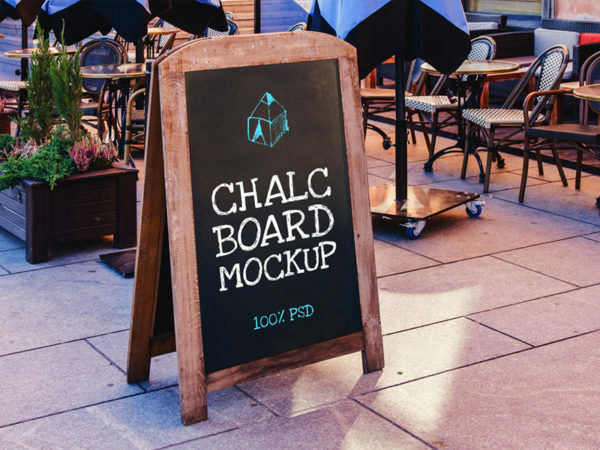 Download Free Road Side Advertising Chalkboard Mockup. You can display menu, offers, daily discounts, opening time, closing time and more. Replace your own design inside the smart layers. Nice work done by Graphic Shelter. Download Free Vertical Glowing Advertisement Billboard Mockup. This free mockup psd file comes with a smart layers, just replace your art work very easily. Nice mockup created by uIconstock.